Chen Rong-yu of Taiwan checked into an internet cafe in the city of New Taipei on Tuesday evening to play popular multiplayer PC game League of Legends. Wednesday evening a waitress found the 23-year-old sitting rigidly in his chair, hands outstretched towards the computer. He had been dead for up to nine hours. 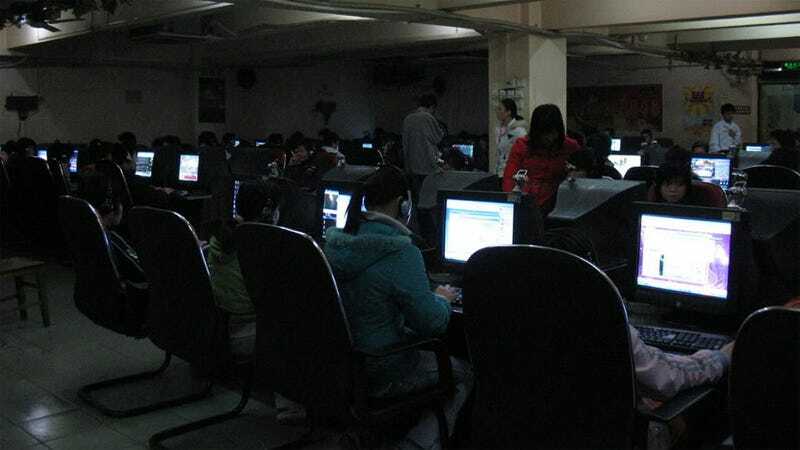 Intense levels of concentration and marathon gaming sessions are common at internet cafes throughout the region, where players purchase computer time in order to log into their favorite online multiplayer games. So it makes a sad sort of sense that the 30 other people working and playing at the New Taipei location failed to realize they were sitting in the same room with a corpse for several hours. Rong-yu was apparently witnessed talking on his cell phone around noon on Wednesday, the last time anyone recalls seeing him alive. Initial police reports indicate he may have died due to cardiac arrest brought on by blot clots formed due to a combination of cold temperatures, exhaustion, and lack of movement. According to his family he had been treated for a heart condition last September.